Cakes By Lorrie | DidjaEat? I’m not the only creative person in my family with food. My cousin Lorrie, of Cakes By Lorrie, does some really awesome work. Here is a Jack Skellington cake! 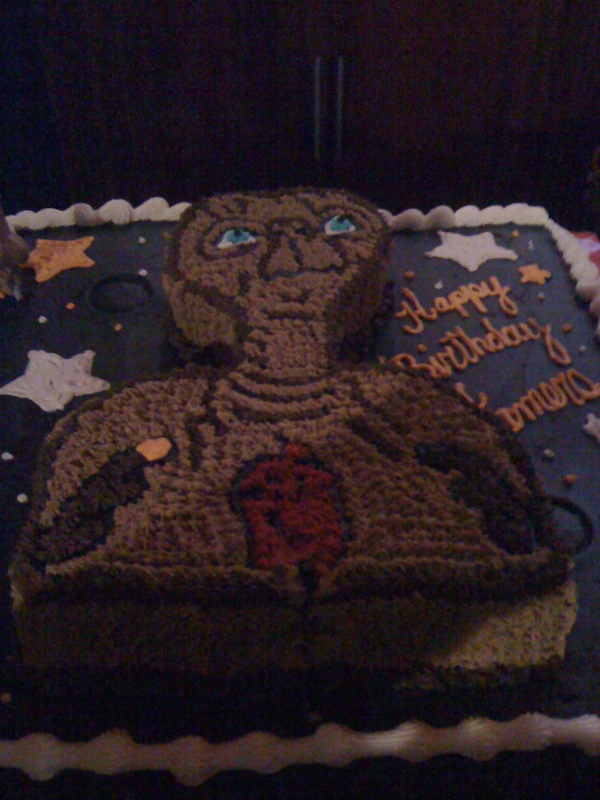 And finally, an ET cake. This picture is dark because the bar where the party was, was super dark. Click to embiggen and see how detailed it is, including his heart! 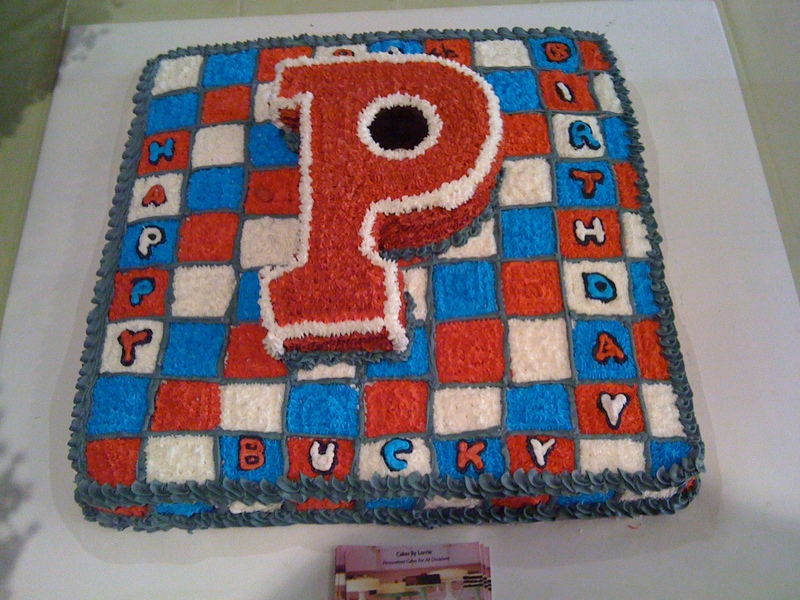 If you live in the Philly area, Lorrie makes really great cakes, as you can see. Hit me up thru this site if you are interested in one of her handcrafted cakes! 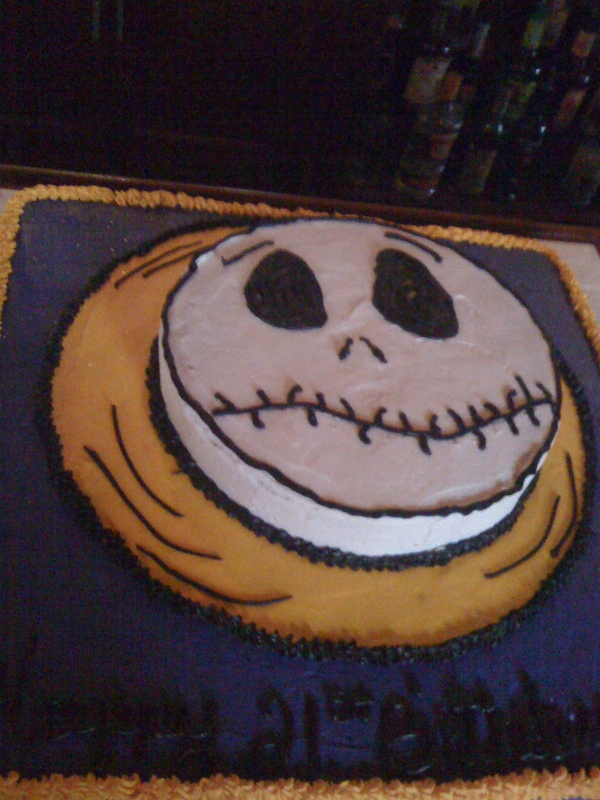 Posted on January 8, 2011, in fancy food, home cooking and tagged custom cakes, ET cake, jack skellington. Bookmark the permalink. Leave a comment.